Ask any nonprofit and you will hear how difficult it can be to rally the troops and raise the funds necessary to keep an agency thriving. What makes this sometimes challenging task a bit easier? A sporting event outdoors. Runs, walks, races and rallies of every kind get the blood pumping and make the effort more engaging for the participants – as well as more profitable for the organizers. Getting outside can be inspirational, said Brewster Rhoads, chair of Ohio River Paddlefest. Sporting events can be found almost year-round for the adventurous donor, but some of the biggest events pop up in the spring and early summer months. 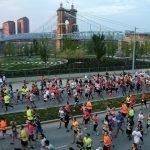 Among the largest are Paddlefest, RideCincinnati, Hyde Park Blast, JDRF One Walk and the Flying Pig Marathon. 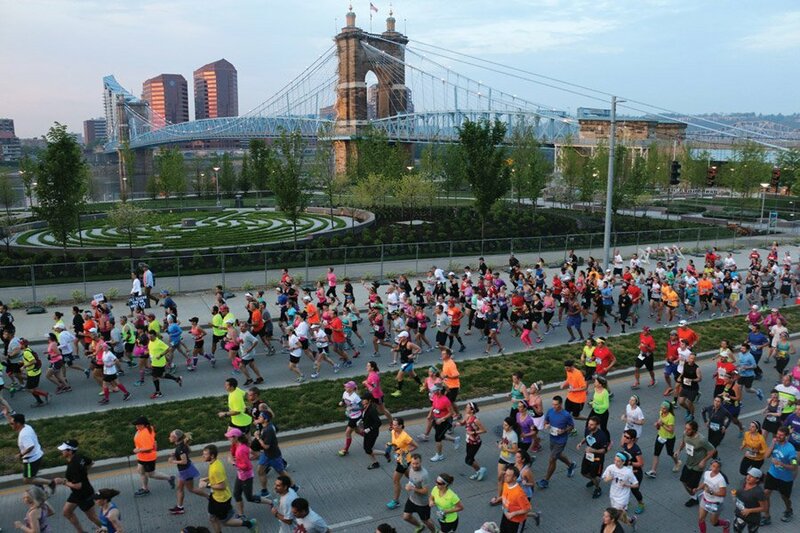 THE FACTS: Races, dashes, relays, marathons and half-marathons – the Flying Pig has it all. The Pig is called the largest weekend party, and with a full slate of events May 5-7, that’s no hogwash. That doesn’t even count the hundreds of nonprofits that raise funds when their volunteers help out with the Pig or round up sponsor dollars and run in it. THE NUMBERS: In 1999, 6,163 registered for the marathon; in 2015, 37,700 registered (15,349 finished). More than 150,000 “street squealers” cheer on the runners along the course. THE WOW! 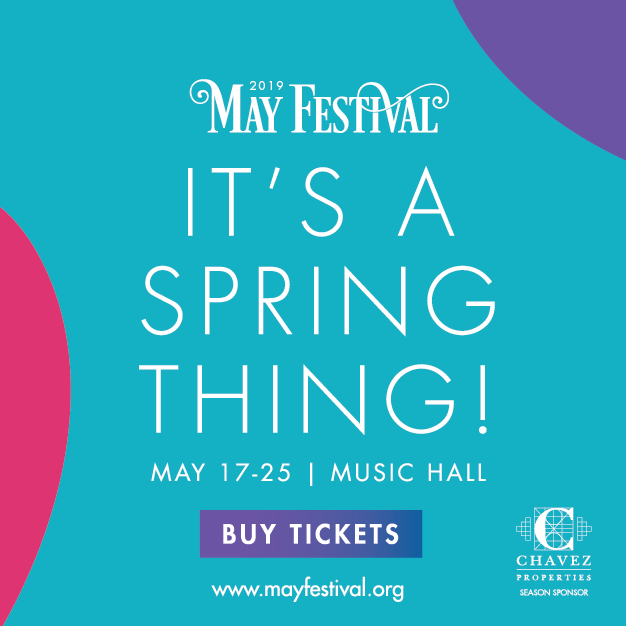 The Flying Pig has international draw, with participants from Australia, Chile, Czech Republic, Denmark, Egypt, France, Great Britain, Japan, Mexico, Panama, Spain and other nations. THE FACTS: Thousands will descend on Kings Island Saturday, June 3, for the annual walk to raise money to find a cure for type 1 diabetes. THE NUMBERS: One of 200 JDRF walks nationwide, this event is expected to draw 6,000 walkers. Organizers hope to raise $650,000. THE WOW! This signature event raises $75 million annually nationwide. Since 1992 it has raised more than $1 billion (with a “B”) for research. 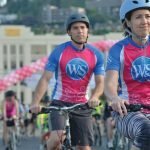 THE FACTS: The event on Sunday, June 11, features bike rides of 8, 18, 26, 45, 63 and 100 miles, as well as a 5K run/walk and a 5K run/walk add-on to any ride. Additional rides will be featured this year. THE NUMBERS: More than $2.5 million has been raised in the first 10 years. Funds have benefited 34 breast cancer research grants and this year will go to other cancer research as well. 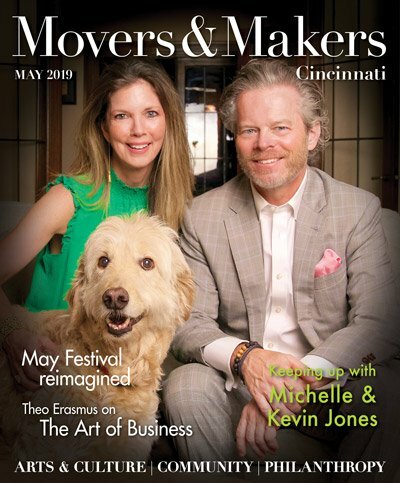 QUOTABLE: “Over the past 10 years, Ride Cincinnati has become a legacy for not only my family, but for thousands who have benefited from the research funded by our event,” says Allison Gordon. 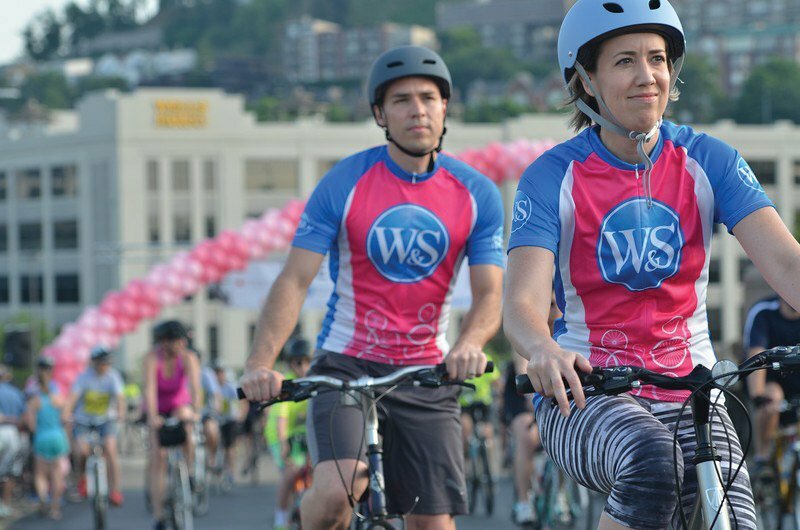 She and other family members created Ride Cincinnati to honor the memory of her mother, Marlene Harris, who fought breast cancer. THE FACTS: This event on Saturday, June 24, is a full day of fun, with a 4-mile run/walk, kids’ races and bike races for every skill level, followed by a whopper of a block party. THE NUMBERS: Last year’s Blast raised $75,000. Since 2001, more than $500,000 has been generated for cancer research and support. THE WOW! OK, it’s not ancient Rome, but watch 3-person teams construct a chariot and race around Hyde Park Square. 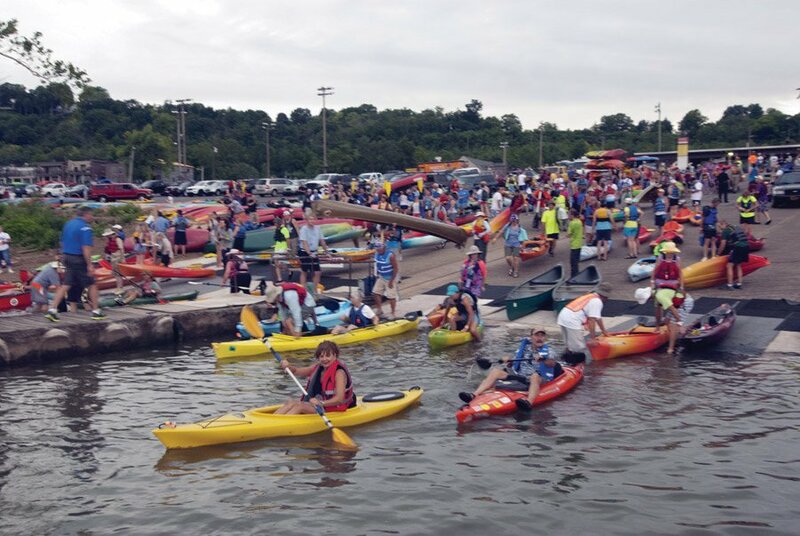 THE FACTS: Canoes, kayaks and boats by the hundreds – or thousands – take to the Ohio River for the event on Saturday, Aug. 5. Participants will paddle a course under seven bridges and explore the Mill Creek. THE NUMBERS: Last year’s Paddlefest had more than 1,800 paddlers and 1,400 boats on the Ohio River. It raised about $70,000 for Outdoor Adventure Clubs of Greater Cincinnati, which lets students from the inner-city go kayaking, hiking and climbing, and enjoy the joys of nature. QUOTABLE: “Folks most often think of the Ohio as dirty and dangerous. Paddlefest participants invariably are impressed with how clean and safe the Ohio really is. 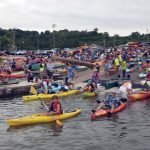 And they are more interested in getting involved in activities like river cleanups to make it even better,” said Brewster Rhoads, Paddlefest chair.